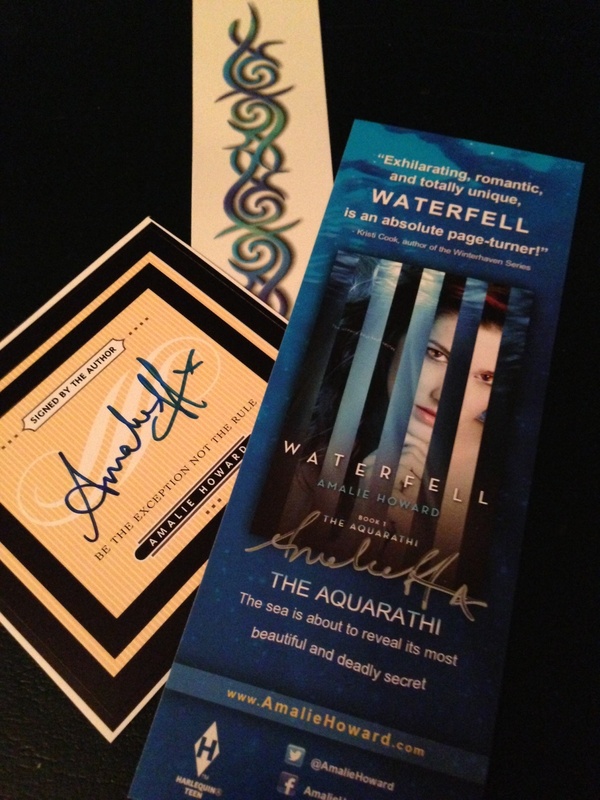 Pre-order Waterfell by OCTOBER 28th 2013 and gain more entries toward the grand prize! 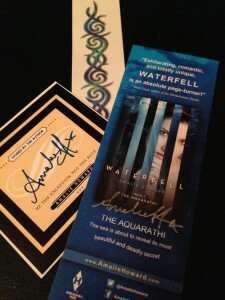 The first 200 winners will receive a signed Waterfell bookmark, signed bookplate, and a cool Waterfell tattoo. In addition to this prize pack, you will be entered to a super-awesome grand prize: an IPAD MINI (worth $350). To enter, fill out the Rafflecopter below. No entries after October 28th will be counted. No purchase necessary to win a swag pack or to be entered into the grand prize drawing. All receipts for extra entries MUST be submitted prior to the draw date. NOTE: The prize for this contest is not open internationally because of issues with taxes on mailing gifts. But if you are an international reader, you should definitely still enter. If you are one of the first 200 prize pack winners, you will receive the signed bookmark, signed bookplate and tattoo. Every qualifying entrant (see prize rules) will receive a #WaterfellProm ticket for another chance to win an iPad Mini. It was nice meeting you today. I just pre-ordered Waterfell from Amazon. Where should I send the receipt? Hi Julie! So nice to meet you also! Thank you so much for pre-ordering a copy of Waterfell! You can email the proof of purchase to mail@amaliehoward.com. I really hope you like it!